Paloma Garcia-Lopez — an educator, nonprofit leader, and manager with more than 15 years of experience — has been appointed associate director of the Institute for Latino Studies (ILS) at the University of Notre Dame. In her new role, Garcia-Lopez will manage and oversee all of the activities and staff of the institute. Garcia-Lopez will focus on enhancing annual programming, special events, communications, fundraising and budgeting. She will be a central figure in the development of a strategic plan to support scholarly initiatives in Latino studies as a key component of Notre Dame’s academic mission. Garcia-Lopez is a graduate of Stanford University and the Stanford Graduate School of Education. In 2012, she was appointed executive director of the Maker Education Initiative, a national leader in the field of “making” as a teaching strategy in classrooms and in the community. Working closely with the charity’s founders, she established its infrastructure and systems, secured multiyear corporate and foundation support, and executed four national programs impacting 90,000 people. Prior to joining Maker Ed., she served as director of the Posse Foundation site in Washington, D.C., a national college access and leadership development organization recognized by President Barack Obama and the Catalogue for Philanthropy. Paloma is the treasurer on the board of trustees of the Community Science Workshop Network, a California statewide STEM organization serving 20,000 low-income youth annually, mainly the children of farmworkers. 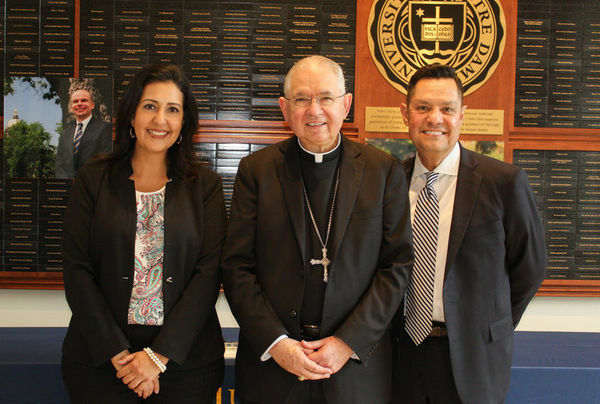 “I am honored to join the University of Notre Dame as we approach the 20-year anniversary of the Institute for Latino Studies. I look forward to working with faculty, students, and renowned local and national Latino leaders who are at the forefront of advancing the understanding of the Latino population as we build the leaders of tomorrow,” stated Garcia-Lopez. Garcia-Lopez has served as an executive coach to nonprofit leaders and consulted schools to secure funding to increase science achievement, college access, and leadership opportunities for underrepresented populations. 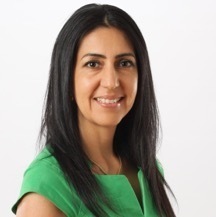 Paloma started her career as a high school teacher in the Silicon Valley and co-authored Learning to Teach For Social Justice in 2012 with Stanford professor Linda Darling-Hammond and teacher Jennifer French. She is a social entrepreneur who dedicates herself to identifying and implementing replicable solutions to address large scale social problems. “Paloma is a great addition to the team at ILS,” affirmed Philip Fuentes, chairman of the McDonald’s Hispanic Operators Association and chair of the ILS Advisory Council. “The presence and quality of the institute has increased dramatically and made great contributions to the Notre Dame community. Having Paloma partner with Luis Fraga to lead the team will only increase our impact.” Garcia-Lopez can be contacted at Paloma.Garcia@nd.edu . Originally published by Evelyn Gonzalez at latinostudies.nd.edu on October 16, 2017.